These 10 inch gold party sparklers are Sparktastic! 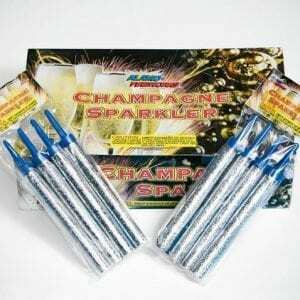 This size is a favorite choice of sparklers for so many any occasions including birthday, anniversary, graduation parties and holidays all throughout the year. Adding sparklers to your evening will put smiles on everyone’s faces. 10 Inch Gold Sparklers for Your Next Party! These Sparklers are Sparktastic! Lovely 10 inch Gold Party Sparklers – great for any occasion including birthday, anniversary and graduation parties. One order includes 192 wire sparklers (2 dozen boxes, each box holds 8). The burn time for each wire is 35-45 seconds. These are easy to light, just hold the tip in a steady flame. 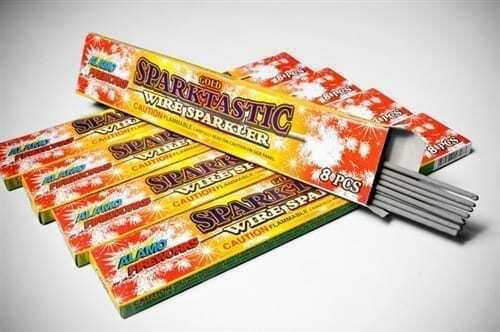 We recommend purchasing at least 4 sparklers as a favor for each guest. Your friends and family will enjoy passing the “spark” from person to person. Lots of fun and great for candid photos! Unique Gift Idea: Finding small yet thoughtful gifts for co-workers and friends can be tough. But we have the perfect solution! A box or two of our 10 inch Gold Party Sparklers are out of the ordinary, economical and fun all at the same time. Stock up with an order – which includes 2 dozen boxes – then tie a ribbon around a box to give to your friends and co-workers. Easy! They make excellent Christmas presents for friends, family or co-workers since most people light sparklers right around the corner at New Year’s Eve. Fits Your Budget: As we all know, weddings vary vastly with different budgets. For some, it is affordable to go extravagant with venues, photographers, guest lists, etc. 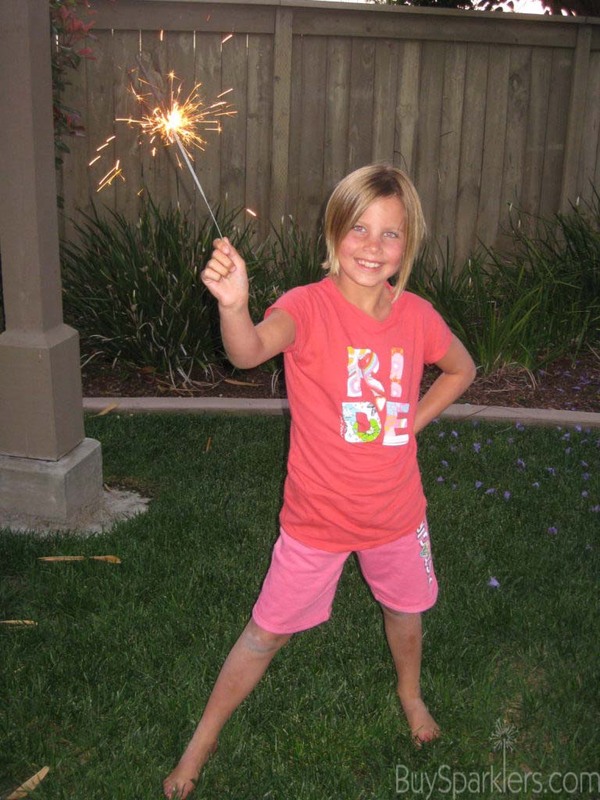 What we love about sparklers is that they are enjoyed by the entire wedding for such a low cost. They are priced to fit literally any budget and unlike many pricey party favors that guests usually take home and throw away, they allow the guests to experience a magical moment with the bride and groom. 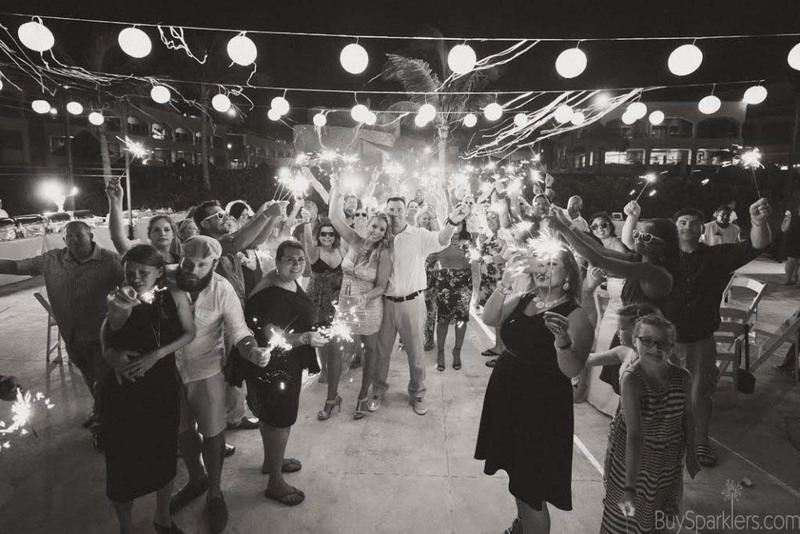 Holding a sparkler to send off the lovely couple is a memory of a lifetime. Friendly Reminders: Recommended for outside use only. Hold at arm’s length when burning. Adults should supervise children, not recommended for children under age 8. The sparklers were a GREAT hit!!! We ordered the 10″ sparklers because they were so affordable. They turned out to be PERFECT for my husband’s birthday party! All the guests enjoyed them and it was a small price to have happy guests!! 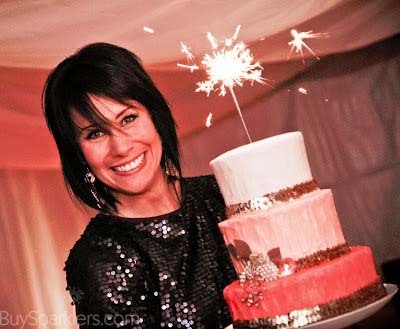 As a wedding planner, I always recommend Buy Sparklers.com to all of my brides! Thank you!